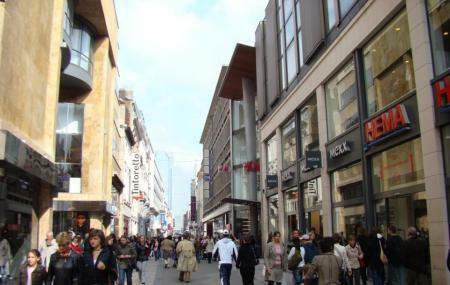 The most popular shopping street in the city is also a completely pedestrian area. Unlike Avenue Louise, this is the place to go for bargain buys, even from known brands. It’s less than half a kilometre long and is absolutely packed with boutiques and stores. There are also stores for electronics, pharmacies, chocolate, and cosmetics to name a few. The crowds can be a bit fatiguing though. Sometimes there are musicians playing at Church of Notre Dame Du Finistere. Subway 1, 5; Trams 3, 4, 32; Buses 47, 88 stop De Brouckere. Subway 2, 6 stop Rogier. How popular is Rue Neuve? People normally also visit Musees Royaux D'art Et D'histoire while planning their trip to Rue Neuve. People also prefer to start their day with Rue Neuve.